Recently I tasted some sugar cookies with a taste I couldn’t identify at first. Then on closer inspection, I realized the cookies contained lime zest. Looking through recipes, I found one that is similar. Try it and tell me what you think. I think this recipe could use some more lime zest. 1. Preheat oven to 350 degrees. Combine the 2 teaspoons of lime juice with the milk, let stand for 5 minutes. 2. In a large bowl, cream together the butter and 3/4 cup sugar until light and fluffy. Beat in the egg, then stir in the lime zest and milk mixture. Combine the flour, baking powder and baking soda, blend into the creamed mixture. Drop by rounded spoonfuls onto the ungreased cookie sheets. 3. Bake for 8 to 10 minutes in the preheated oven, until the edges are light brown. 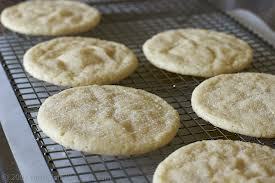 Allow cookies to cool on baking sheets for 5 minutes before transferring to a wire rack to cool completely. 4. To make the glaze, stir together the remaining lime juice and sugar. Brush onto cooled cookies.